Solange also attended the awards ceremony wearing a floor length metallic dress. 25. 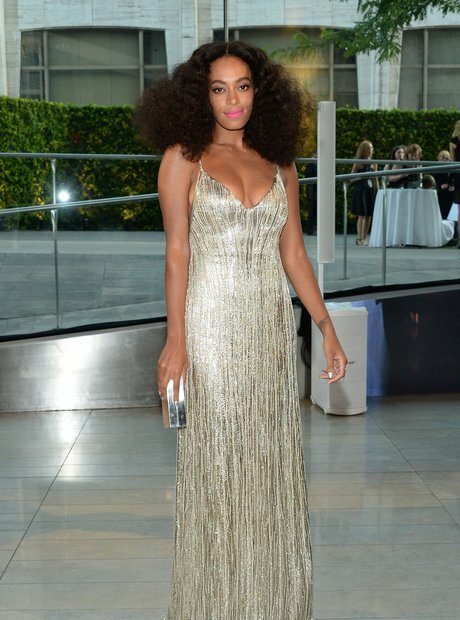 Solange also attended the awards ceremony wearing a floor length metallic dress.